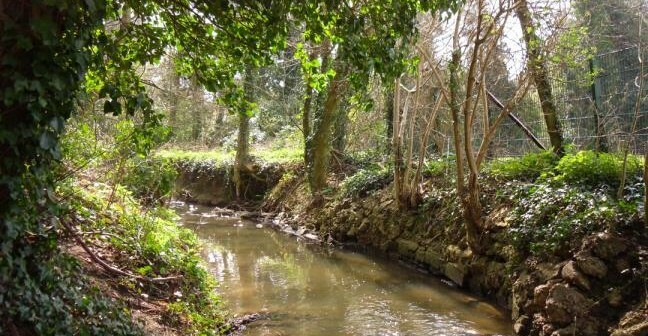 This is sometimes known as the land to the rear of 71 Holden Road and it adjoins Dollis Brook. 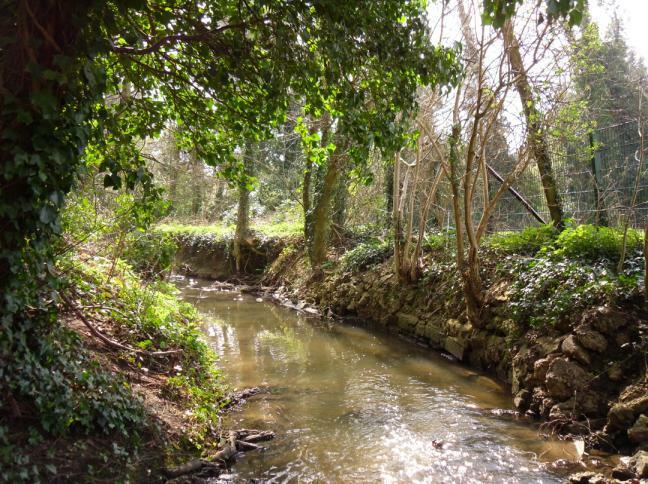 The land is unspoilt green land, approximately ¾ acre in area, and is situated on the east bank of Dollis Brook opposite the Old Finchleians Sports Ground near the confluence with Folly Brook. It is Metropolitan Open Land and a Site of Interest for Nature Conservation. The site is enjoyed by many who can meander along it’s pathways which provides a haven for wildlife. The land presently belongs to the Council who are thinking of selling it to a developer as it is surplus to the Council’s requirements. The land is in the process of being sold. There has been no public consultation about this, only an advert in the local paper which many do not receive. The developer is aiming to redevelop the land to provide fourty-five new houses which seems like a very intense development, totally out of keeping with the area. There are many Council policies in place which can protect this area both in environmental and planning terms. Please apply pressure to your local Councillors so that this sale does not proceed.